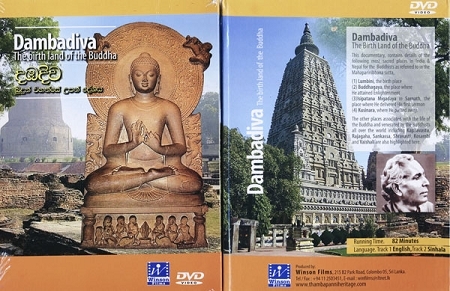 This documentary film contains information on the important sites of the Buddha in Northern India and Nepal: Lumbini, his birthplace; Bodhgaya, where he was enlightened; Sarnath, where he gave the first discourse; Kusinara(Kushinigar), where he passed away; Kapilavastu; Rajagaha (Ragiri); Sankassa; Shravesti; Kosambi; and Vaishali. Running time is 82 minutes. Track 1 is in English, Track 2 in Sinhala. Note: This DVD was produced to work worldwide (i.e. it is a multi-region DVD). We tested this DVD in a US DVD player and it worked fine, but we have received a couple of reports that it does not playback on all US DVD players. It will definitely play on a computer. The contents are excellent however it's in PAL format and not in NTSC and won't run on your dvd players only your computer, which is very disappointing.